Hi everyone! Last week I went to something awesome; a one day yoga retreat from One Day Retreats! A day full of yoga, meditation, self love and self care. Yoga retreats are usually a whole weekend or week, but this is new! A one-day retreat. Sounded perfect to me since it’s really hard to find a whole free week or weekend to spend in a retreat. This edition we treated ourselves with essential oils. Essential Oils have the power to rebalance you emotionally, physically and spiritually. 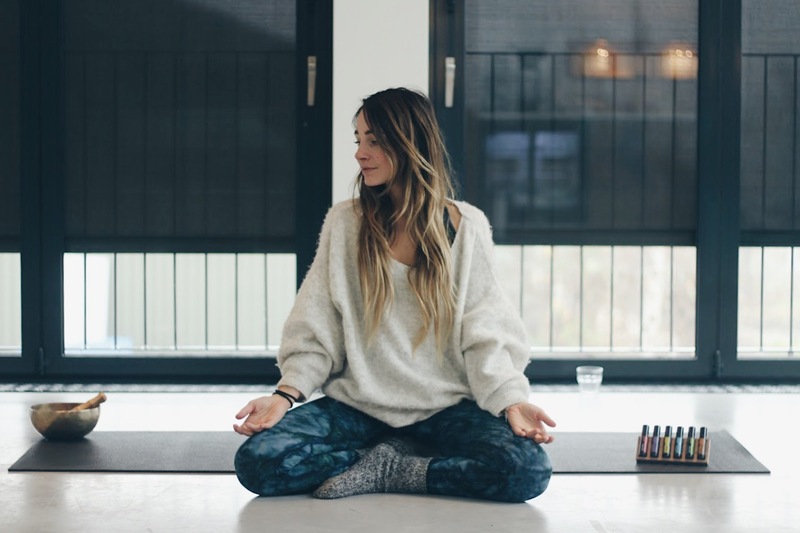 When you feel insecure, lost or overwhelmed, these oils can boost your confidence and reconnect you to your intuition. Inhaling certain scents can enhance mental focus, reduce stress, give energy or calm your senses to help you relax. During this One Day Retreat we’ve learned that every oil has a different power. 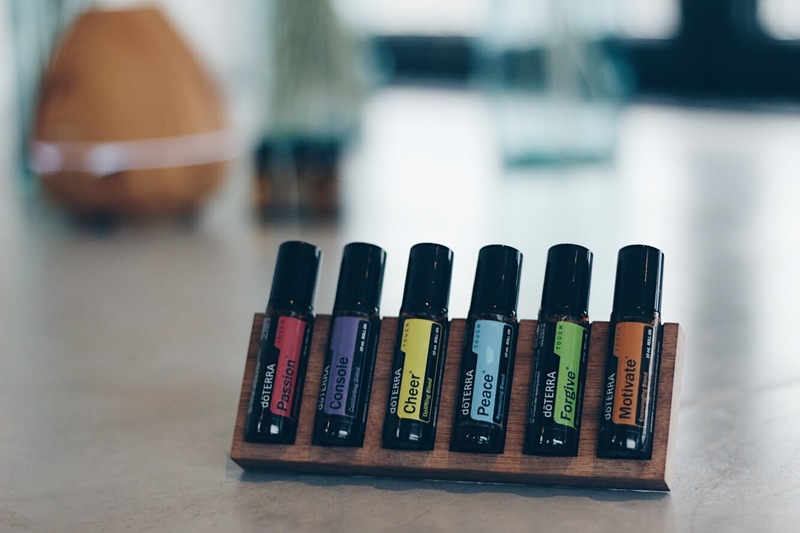 The ancient practice of Ayurveda has used essential oils for thousands of years, based on the idea that physical health depends on a balance between body, mind, and soul. We started the day with an Essential Oil Yoga practice. We tried severals essential oils during the practice and I loved it. Every scent has a different effect on the mind and I felt super relaxed afterwards. After the yoga class we had a very nice lunch. They made something gluten free and vegan for me and Gabrielle, a fresh pumpkin soup, and sweet potato toast with several healthy dips. YUM! After lunch we spent the afternoon making our own natural beauty products with essential oils. 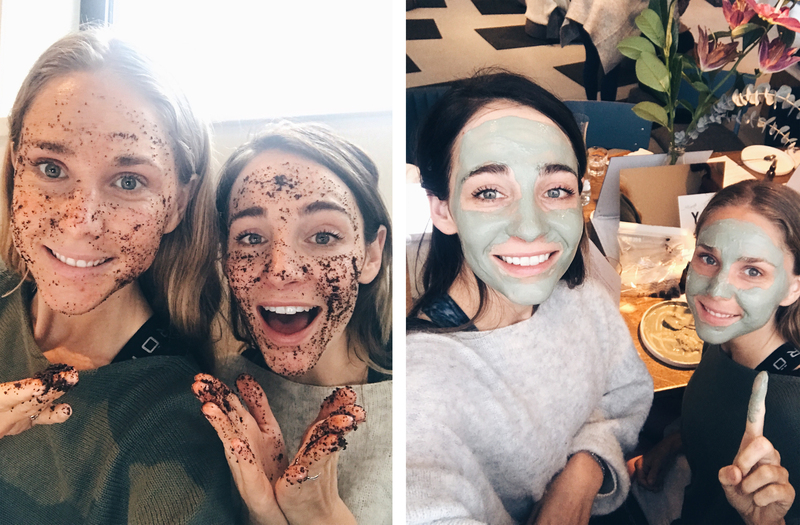 We made a scrub with coffee and peppermint, a toner with chamomile and lavender and a green face mask (see the pictures below). I think it’s so awesome to make your own beauty products so you exactly know what’s in it and you are creating a product with natural elements for yourself. My skin felt super fresh and soft after using the products. I’m starting to get really excited about the essential oils because you can use them in so many different ways. For example, we licked (yes it sounds weird) a drop of peppermint essential oil and you immediately feel fresh and awake, perfect for an afternoon dip! Though it’s important to keep in mind to only use pure natural oils for safe therapeutic use (for example the essential oils from DoTerra). We also got a lovely essential oil massage after the workshop and closed the day with a communal closing ritual with a guided meditation and a review of the day with some yummy healthy snacks. 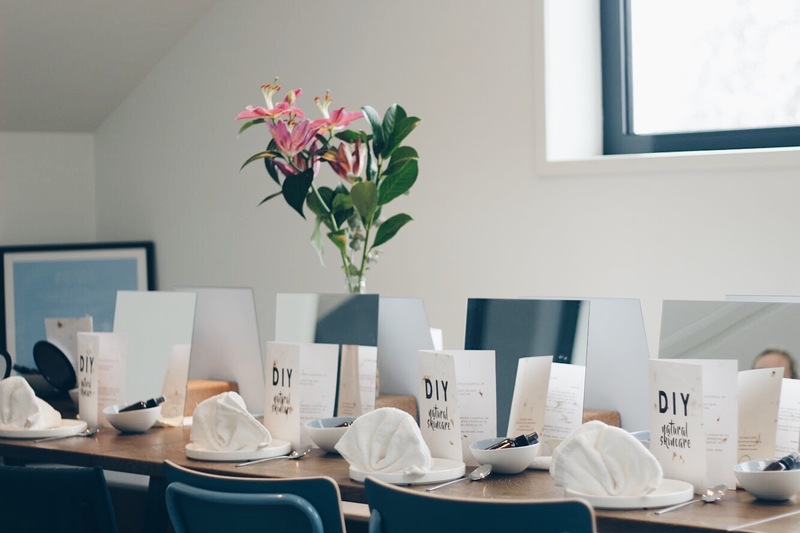 This one day retreat is perfect when you’re in need of a short break from your busy (city) life and when you need a moment to recharge. For me it felt like a mini holiday and a huge present to myself. Would you go on a one-day retreat?